Continuing the tradition of the society, Technology Robotix Society once again organized the introductory seminar for enthusiastic UG freshers who turned out as ever, in great numbers, occupying every single corner of Kalidas Auditorium to behold the preview for the exciting year TRS already planned to go through. The workshop began with a look into the work done by the society all through the years. 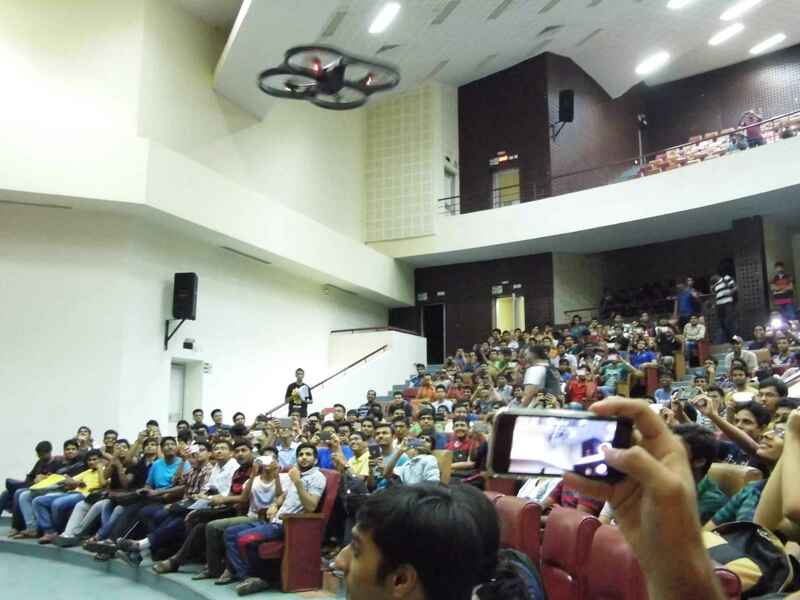 The freshers were informed about the in-house events, the classes, workshops, learning opportunities and were given a peek into the extravaganza that Robotix 2016 will turn out to be. 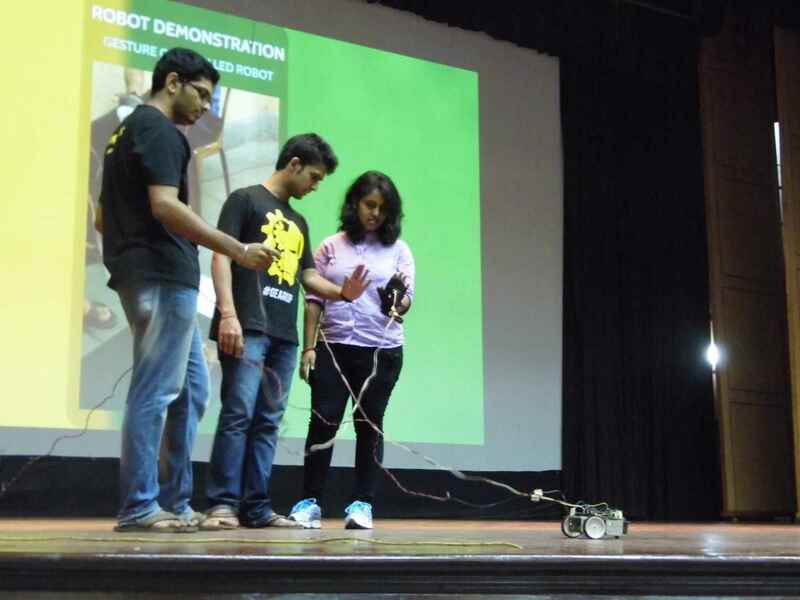 Glimpses of the previous edition fascinated the attendees and gave them an overview of the impact and outreach of Team Robotix. The videos of the society operations and the previous fest left the freshers awestruck. There also were robot demonstrations on stage, along with quadcopter flying sessions, that were the heart and the soul of the event. Three robots were demonstrated in totality, one being the light follower robot that could follow a beam of light thrown to its front, another being the gesture controlled robot that could be moved using hand movements and the final one being a robot that could follow a preset colour of objects using a camera feed. The demonstrations left the audience in awe and gave them a look and feel regarding the technical operations of the society. 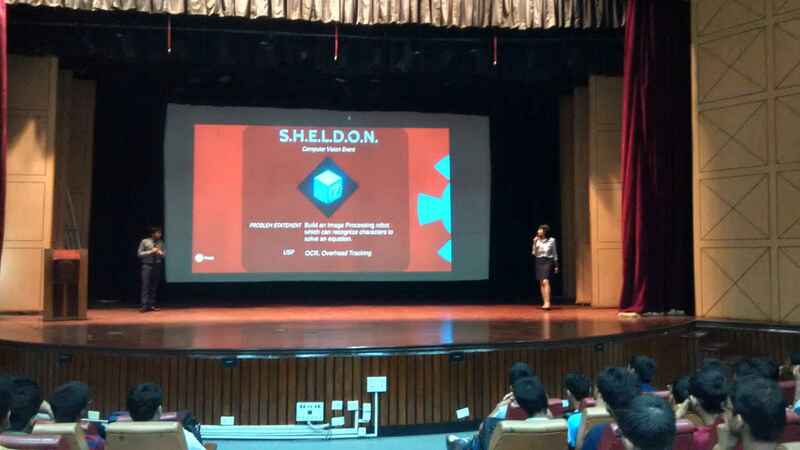 The events for Robotix 2016 were first disclosed to the public forum on the same stage, and a brief overview of the same was also given. To keep the audience in action, several brain teasers, goodie questions and interactive chats took place between them and the organizers. All this made the event even more enjoyable for the already amazed freshers. There was universal acclaim for the amount of work put in for making the seminar a success. The final result was a real inspiration for freshers and a motivation for Team Robotix to continue in its endeavours of spreading robotics culture around and making IITKGP the hub of robotics education in India.